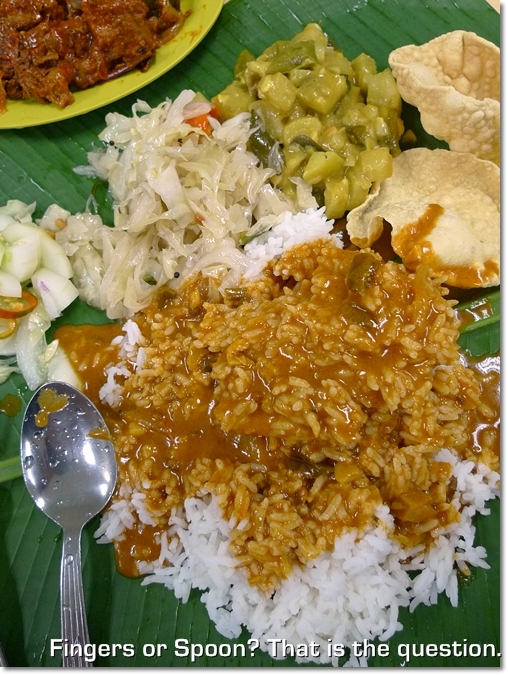 Tell me about banana leaf curry rice, and I’ll sit up and pay attention. Not sure where the allure actually lies; maybe the fragrance from the leaf where your food is served? The sheer appeasing of your innermost glutton by topping up excessive portions of rice and vegetables (of course, the curry too)? Or the desire to dig in in your most barbaric manner; sans any fork or spoon, and create a mess out of the culinary experience? Raju, off Jalan Gasing in PJ is probably legendary; a name renowned … almost synonymous with good (yet pricey) roti canai (Indian flatbread). But this was my FIRST visit after many trials and tribulations. Why? Read on for the revelation …. Don’t be surprised if you see the eager (overly-eager?) souls next to you scooping the gravy and chutney relentlessly onto his serving of rice or ‘roti’. That’s how you’re supposed to ‘banjir’ (flood) your food, for a thoroughly satisfying and wet experience. 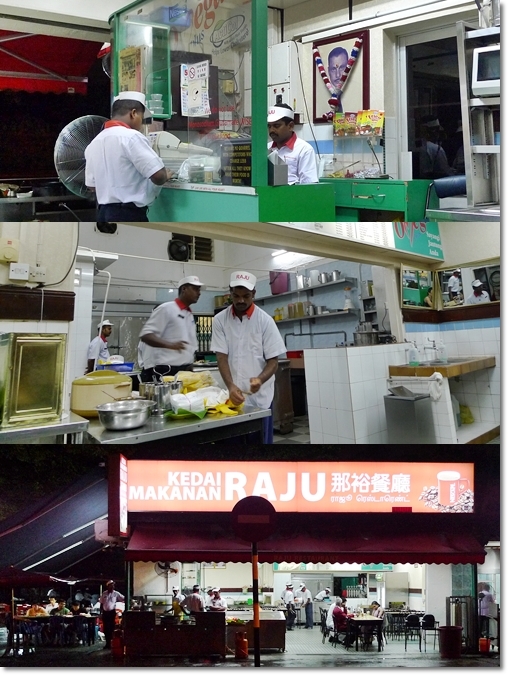 I have always had this perception, or rather, misconception that Raju is ON Jalan Gasing in Petaling Jaya of Selangor. Surprise, surprise. The infamous Indian restaurant is actually OFF Jalan Gasing; on a street simply named Jalan Chantek 5/13. You probably will zoom past this turning along the LONG main road of Jalan Gasing. Had it not for the many useful food blogs on the web, and the surprisingly life-saver of a Google Map on iPhone (left my GPS to rot already …), I would probably end up somewhere in SS2 for dinner. Again. And Again. Thus, was wonderfully surprised the place was not packed on that evening. But then again, this place is populated by the breakfast-lunch crowd, especially with that beautiful al fresco seating area (don’t expect splashing waterfalls or landscaped decor) by the side. 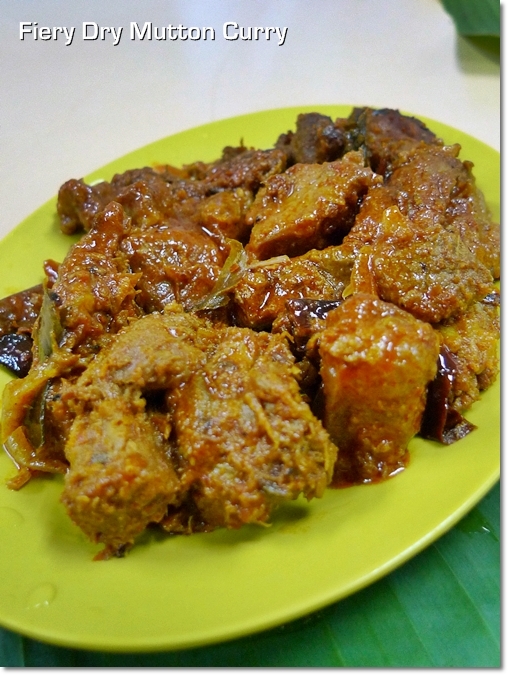 Dry Curry Mutton, or Varuval. A perennial favourite of mine since I absolutely adore mutton or lamb in Indian cooking. Gamey but not to the extent of being repulsive, and highly spiced and laden with a fiery kick, don’t take chunks before tasting a bit. Slightly tougher than desired though. A meal here won’t break a hole in the pocket. 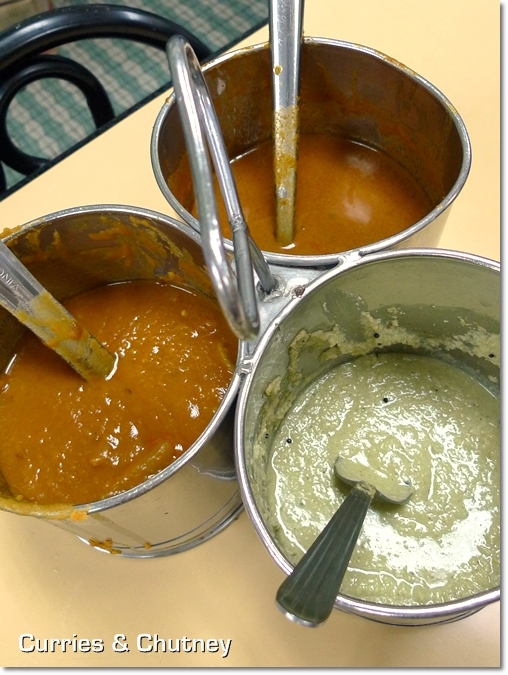 But you do NOT expect paying peas and expecting a serving of what could possibly be PJ’s most famous roti canai. Everything here is priced above average, almost on par with what the mamak outlets in shopping malls charge. There is even a disclaimer at the counter; stating that they KNEW they’re charging more, but you’re actually paying for QUALITY, as compared to the competitors. Hmm, strong words, I’d say. But they’re famous, so they can get away with murder, I guess. The CLAP that made it all possible. Oh worship the almighty ‘roti’? Yes, the roti canai (RM1.50/USD0.50) each was good. Though I was actually expecting a more fragrant/flavourful and crispy flatbread, but two out of three ain’t bad I suppose. The roti was nicely perfumed with ample amount of ghee, and had that important rich, buttery taste from the fats. Just not as crispy as I wished it would be. But then again, I wouldn’t mind having seconds here. The Banana Leaf Rice at Raju was not outstanding though, just passable, but did not make me go for additional vegetables, or even scooping more curries or chutney. The mutton was good; with a bite but not melt in mouth tender. Slightly spicier than the average mutton curry, so be cautious if you’re not fond of chillies. 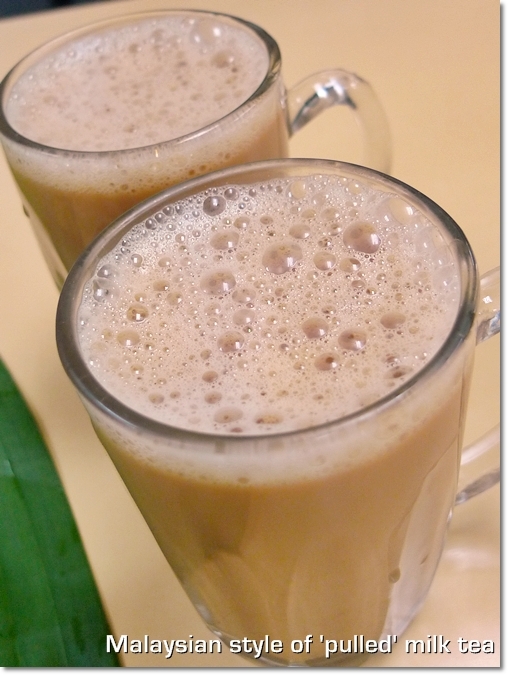 Ever the pleasing Teh Tarik; frothy to a right degree, and velvety smooth and milky to a satisfactory finish. Unlike some places that use fake (or treated?) 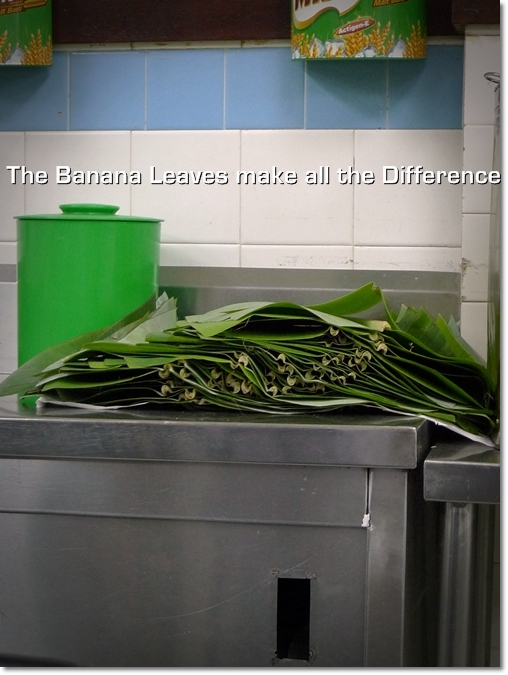 banana leaves, Raju actually uses REAL banana leaves to serve the BLR (banana leaf rice). As authentic as it gets. Raju – A notch above the competition? You be the judge. Definitely one of the best roti canai, its so light and fluffy you actually need to order double. But don’t order the other ‘stuff’ or you will be shocked when your bill comes. haha..
What is fake/treated banana leaf?? Been here a couple of time, the fried on the spot chicken and fish are awesome too. I have been there before for breakfast and the crowd was astounding! So was the service, if you know what I mean.. but I did enjoy the flooded banana leaf rice and the roti canai!! So addictive ok..
what amazes me about rajus is their billing system. somehow, they actually tend to get it RIGHT! despite the seeming chaos. we are fairly regular at rajus coz church is nearby. but on sunday mornings, it takes forever …. 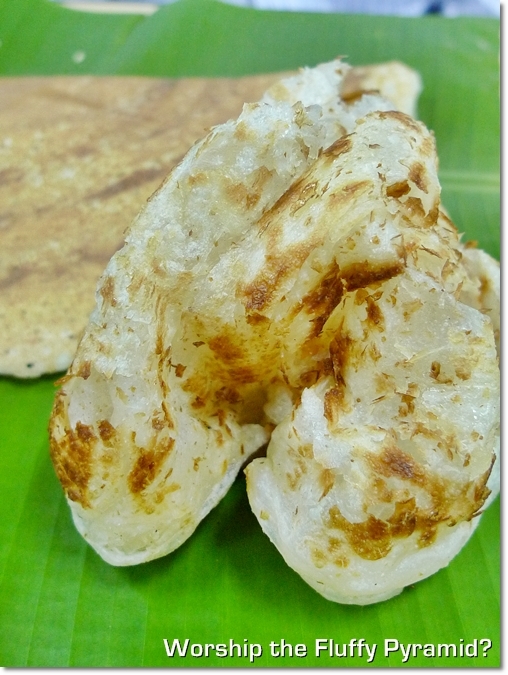 Samy’s in Chemor and Meiappan’s on Jalan Kem, Port Klang serve a more authentic BLR. this, what if you added a little content? I am not saying your information is not good., however what if you added a title that makes people want more?